We’ve partnered with Merrimack Media, founders of the DIY publishing with guidance program Publi, to offer free training on how to format your book professionally using Pressbooks. In this Bestseller Bootcamp webinar, Pressbooks Director of Marketing and Operations Elizabeth Mays will take you through the easy steps to create a professional-looking book and ebook. This webinar will show you how you can easily format a professionally designed paperback and ebook, and how Publi will do the rest at a fraction of the cost of a traditional self-publishing package. Pressbooks is easy-to-use book formatting software that lets you create a book in all the formats you need to publish, and the platform delivers print-ready files for CreateSpace, IngramSpark and Lightning Source, as well as ebook files optimized to look great in all ebook stores: Amazon Kindle, Apple iBooks, Nook, Kobo, Google Play and more. 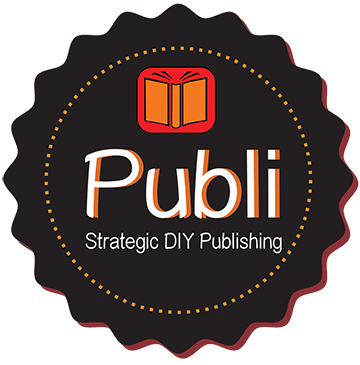 Publi is do-it-yourself publishing, with handholding, strategy and a professionally designed cover. Publi includes Pressbooks EPUB, MOBI and PDF upgrades as well as training and help to set up your book in Pressbooks.